Rafael Franca has announced the final releases of Rails 4.1.2 and 4.0.6 after an extensive release candidate testing phase. Rails 4.1.2 is the first bug fix release for the 4.1 series and Rails 4.0.6 includes many bug fixes to make the upgrade path from Rails 3 easier. Taking place on October 24th in Austin, TX, Keep Ruby Weird promises to be a Ruby event that focuses on the weirder and more wonderful sides of Ruby. No tickets yet but you can leave your address for info. The CFP is also open if you want to speak. 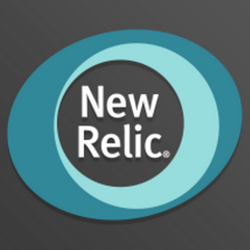 Learn how New Relic Browser provides valuable insights into the actual experience your real-users are having on your site. Get deep visibility into the front-end code of your web apps including browser page load time breakdowns by browser and geography. Think an ORM but more for MongoDB’s document-oriented world. There are a variety of changes but note that version 4 only supports MongoDB 2.4 and higher. Sean Griffin looks behind the scenes at how Rails automatically translates values between different types. Faster HTML escaping with escape_utils, a faster blank? implementation with fast_blank, and faster JSON serialization with oj. The Go language has some great concurrency primitives (such as channels) that make it easier to write good concurrent code. ‘Agent’ implements Go-style ‘concurrency magic’ in Ruby. Audio isn’t great, but introduces us to flex_columns, low_card_tables and db-charmer. A few quick tips from the experienced developers at Thoughtbot on having a better time with internationalization (i18n) on Rails.